Vincenzo Manca graduated in mathematics at the university of Pisa, where he became assistant professor in 1980. He taught as an associate professor at the universities of Udine and Pisa. Since 2002 he has been Full Professor at the C.S. Dept. of the University of Verona. His research interests cover a wide range of topics from discrete mathematics and theoretical computer science to Systems Biology. At present, his investigation is mainly focused on discrete mathematical models of biological systems. He is author of more than 150 scientific publications, most appearing in international journals and scientific series (e. g.: BioSystems, Mathematical BioSciences, Natural Computing, Theoretical Computer Science, J. of Logic and Algebraic Programming, Int. J. of Found. of C. S., Oxford Handbooks, Springer Natural Computing Series). He is reviewer for Mathematical Reviews and referee for top level scientific journals and conferences, has been member of the PC in more than twenty international conferences and was visiting professor and “invited speaker” in universities and international conferences. He is member of the E.M.C.C. (European Molecular Computing Consortium). He collaborates actively with several international research groups in the field of Bioinformatics and Natural Computing, and directed Italian national research projects in these fields (one FIRB and one PRIN). He has tutored more than 40 M.Sc. and Ph.D students. Recently, he coordinated a joint group of computer scientists and biologists in biotechnological experiments on algorithms of DNA extraction and recombination. 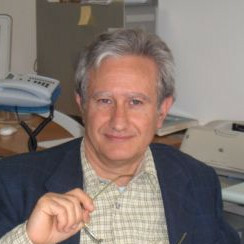 He was the principal promoter in the foundation of the bachelor programme in Bioinformatics at the University of Verona (Faculty of science, educational programmes in Informatics), for which he promoted a cooperations among computer scientists, mathematicians, physicists, chemists, and biologists. He was also among the founders of the master programme in “Bioinformatics and Medical Biotechnologies”, an interfaculty programme jointly supported by the Faculties of Science and Medicine of the University of Verona. He was also president of bachelor and master programmes in Informatics and Bioinformatics at the University of Verona (Science Faculty). He is member of the directive board of the Center of BioMedical Computing of the University of Verona.